In my recent “Scrap the Longmont Fair Campaign Practices Act” I said “The financial cost to the city (special counsel and prosecutor) was in the thousands, while the fines levied were barely in the hundreds.” Apparently I was being too conservative. The bill (up to this point) is in a city document that may make your jaw drop, even I was surprised. Be prepared to be appalled. Within the above document, there is a history of how we got here. Readers digest version: Then council candidate Gabe Santos received a $5,000 contribution, there was much crying and whining. 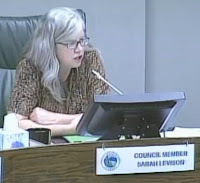 Council member Sarah Levison made the most noise on council and demanded something be done about it. Along with the former bloc, she pushed through the idea of a Task Force who worked pretty hard at amending the ordinance. Council member Levison, I’m told, inserted herself a little too much into these proceedings (many eyes rolled) and was heard to utter “Brennan Center” a few too many times for anyone’s liking. Figuring since she liked to hear herself talk endlessly, the others in the group must enjoy it as well (I’m told this was an incorrect assumption). As predicted, City Council is presented with an ordinance, they discard this and that and end up with a lawsuit-inviting shipwreck. They decide to invite a few people onboard the Titanic in the form of the Election Committee, what could go wrong? Many on this committee aren’t picked for actual election law knowledge, but because they’re political buddies. They (and this is said right in the city document) learn as they go along at an attorneys fee of around $400/hour.Sarah Levison noted that to follow Brennan Center’s example would give us a document with less of a chance of court challenges. Well, we all know what happened there; in no time flat there was a court challenge and the City is eating it’s lunch, a very expensive one to the tune of around $75,000. Add to that some of the LFCPA is on the verge of being stripped of some of its language. So much for the Brennan Center. But it gets better, and back to the point of this story. The Election Committee’s kangaroo court collected a grand total of $700 in fines. What were the attorney’s fee’s to collect that $700? Estimated at $39,048. That’s right, almost 40 grand! Council member Levison’s mistake, or at least uneducated incompetence, has set back the City of Longmont over $110,000! Karen Benker was partially done in with the failing Twin Peaks Mall. Sarah Levison has the Longmont Fair Campaign Practices Act. I’m not sure which is worse. There is $14,467 left in the City Council Contingency fund, staff is asking for all of it to partially cover this looming legal bill. And the spending is not done yet, they just got started. Also within that city document are suggested changes to the LFCPA. To help out Council member Brian Hansen – all those suggestions that say Rodriguez next to them, that would be me – you know, the guy who’s suing the city over the LFCPA. He was confused about that recently. Even though I wasn’t on the committee, I submitted a ton of suggestions to make this ordinance a little more acceptable and not so much of a lawsuit smorgasbord. But Ms. Levison and her followers knew better – as we can all see by the staggering bill that’s come due. Imagine if someone did this not within a bureaucracy, where incompetence like this is somewhat expected and sheltered, but at a company. Not only would someone get fired for this kind of performance, but probably charged with some kind of crime or wages garnished for a very long time. But this is how people act when it’s not really their money. So, two big numbers to remember: $110,000 down the drain / 2011 election. Recalls of sitting council members are just too expensive – wait, now it’s starting to make sense! Then again, people could always just resign, that would probably be cheaper in the long run. Tagged Brian Hansen, campaign finances, campaign law, Longmont. Bookmark the permalink.